In a production environment, we strongly recommend using certificates signed by an official certificate authority(CA). For more details, please check http://en.wikipedia.org/wiki/Transport_Layer_Security. Use of self-signed certificates is generally possible, but not all features are fully supported. For example, a self-signed certificate is not accepted by Android or IOS. Access from mobile apps only works when using a signed certificate from an official CA. If you are using official signed certificates, you can merge the content of all certificate components into one file. Important: if your private key is password encrypted, this needs to be removed (see next section). 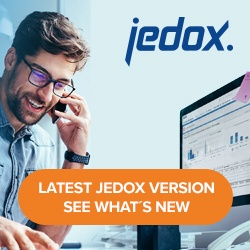 Define JDX_SSLCACERTIFICATEFILE_TMPL "<path to ca bundle>"
After adjusting these settings, the Jedox HTTPD service needs to be restarted.